The ultimate control f smooth and quiet operation, effortless control, and refined power. For boaters who settle for nothing but the best. Mercury Verado is the pinnacle of superior outboard design and performance. Created to power the largest boats for the boldest adventures, Verado delivers advanced engineering and refined operation to boat owners who don’t compromise; every feature is designed to offer the ultimate on-water experience and greatest confidence. The 350hp Verado, with supercharged torque that hits the instant you drop the digital throttle, unleashes pure marine muscle. Tuned to power the heaviest offshore boats out of the hole and over the swell, the 350 Verado also has the legs to fly big pontoons and speedy runabouts across the lake. Like the 350, our new 4.6-liter V-8 250 and 300hp outboards deliver exhilarating acceleration and top speed to run offshore with confidence. They boast generous displacement and a robust design that provide uncompromising durability and reliability. 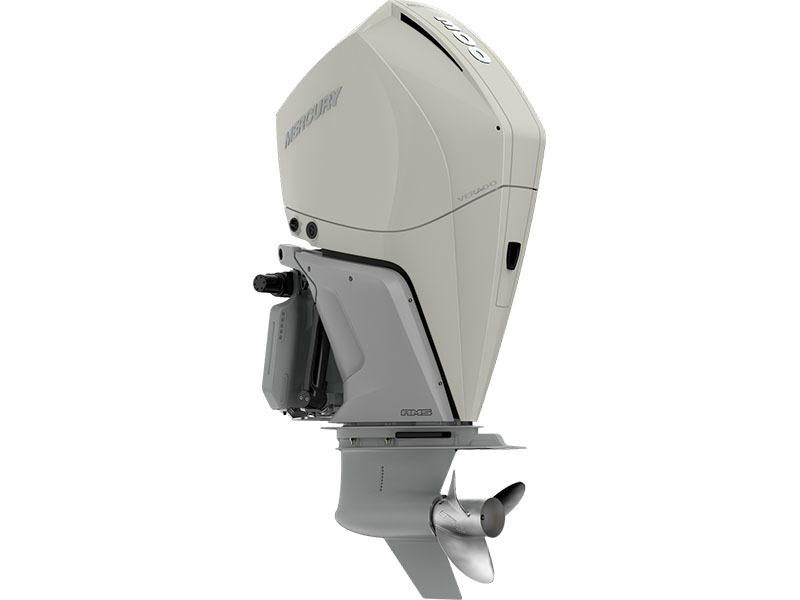 The Mercury-exclusive Advanced MidSection (AMS) and under-cowl noise management features of the 250, 300 and 350hp Verado set the standard for smooth, quiet marine propulsion. Gearcase option - 5.44 in.